Posted on 14 May 2014 | Comments Off on What’s in a Name? 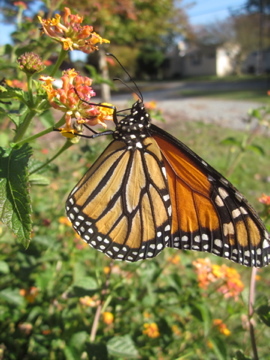 Ever wonder where the Monarch butterfly got its name? Monarch (Danaus plexippus) nectaring on Tropical Milkweed (Asclepias curassavica), also known as Scarlet Milkweed, Bloodflower, and Mexican Butterfly Weed. Apparently, the sight of the Monarch butterfly and its orange color impressed the early settlers, who came to North America from Holland and England. So, they named it “Monarch,” after King William III, Prince of Orange, state holder of Holland, and later named King of England, according to Monarch Watch. 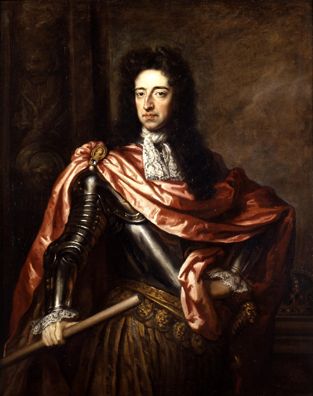 King William III, Prince of Orange, state holder of Holland, and later named King of England. • Portrait by Sir Godfrey Kneller, circa 1680s. Was the Queen (Danaus gilippus) butterfly so named because it resembles a Monarch but is smaller? 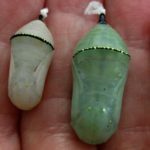 Queen (left) and Monarch chrysalises shown in side-by-side comparison. 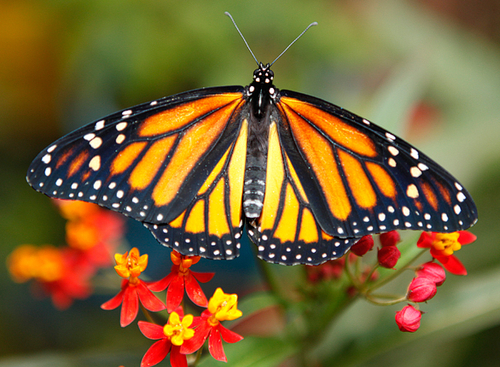 The scientific name of the Monarch, Danaus plexippus, has another origin. Danaus, great-grandson of Zeus, was a mythical king in Egypt or Libya, who founded Argos. Plexippus was one of the 50 sons of Aegyptus and the twin brother of Danaus. Whatever the origin of its name, the Monarch butterfly truly is royalty! Comments Off on What’s in a Name?